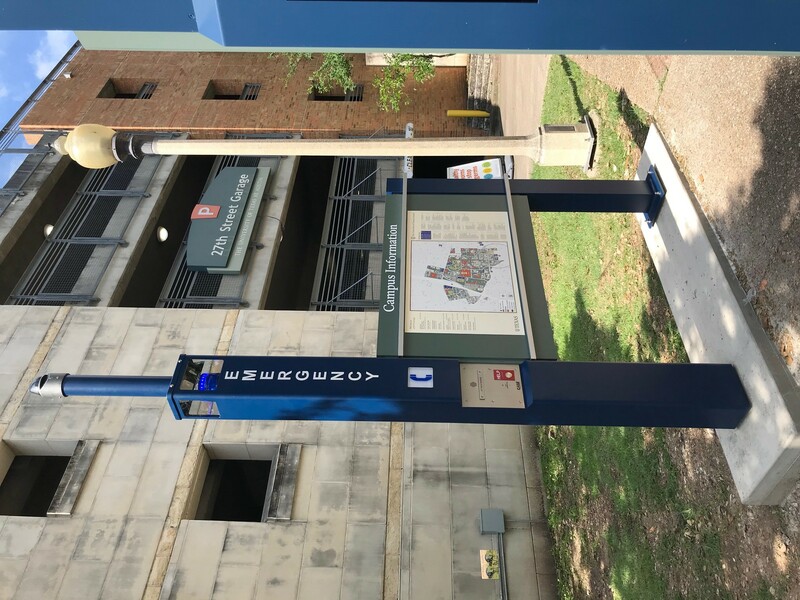 UTPD maintains a network of about 174 outdoor emergency phones across campus. These phones are mounted in yellow call boxes that have a blue light on top and are clearly marked “POLICE HELP.” Pushing the call button activates a direct phone line with UTPD that automatically pinpoints the caller’s location. Pushing a call button when there is no emergency is the same as making a false report to law enforcement — a Class B misdemeanor punishable by up to 180 days in jail and a fine of $2,000.